Lets start fresh with the Geek Wold GK3, one of the gears I received this week. 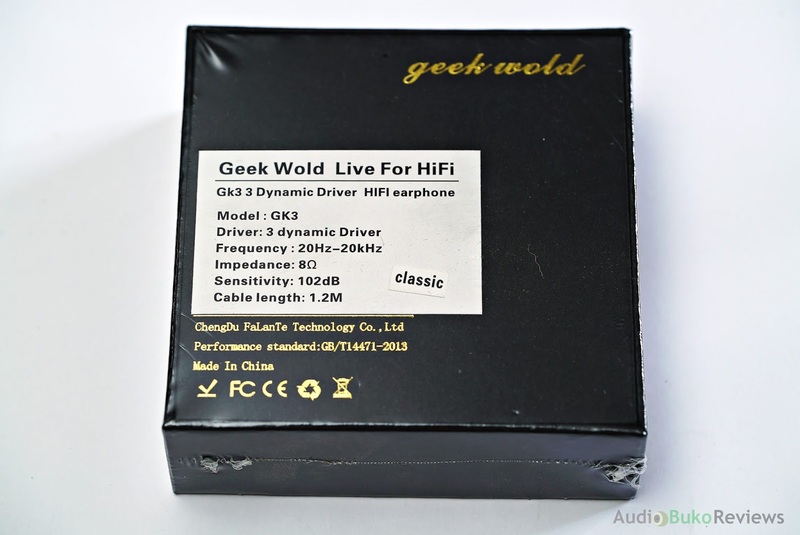 The GK3 was teased earlier in the month of July 2018 from the new audio company called Geek Wold and promised budget conscious audiophiles something to eagerly anticipate with it's affordable price (revealed to be $19.90 USD), low impedance with good sensitivity (8Ω and 102dB) and the rather unique in it's price range of 3 dynamic drivers. The black box is a small square at around 4" x 4" and 1.5" depth with the brand "Geek Wold" and the slogan "Born for extreme audiophile" written in gold on the front. Behind the box is more information about the IEM specifications on a sticker and information about the company in gold print. As the first product from Geek Wold, the GK3 looks striking with it's beautifully done black carbon fiber faceplate design, branded with "Geek Wold" in shiny gold and coated in crystal clear plastic. Though the black shell isn't molded with curves and bumps like a universal custom, the GK3's smooth back shell coupled with a logical tube angle and stock tips has excellent fit and ergonomics with my ear. The GK3's lightness (weighing in at 5 grams per shell) gives you a barely there feel in your ear and one can likely listen to it for hours without fatigue. The Gk3's shell build is hard plastic with no flex and feels particularly strong. 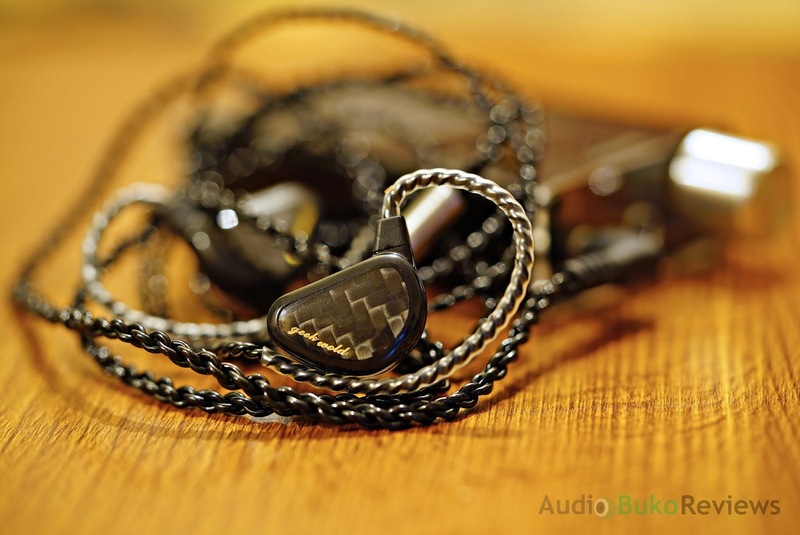 The cable is black, a braided 4 core design with a simple right angle hard rubber coated gold 3.5mm plug that's connected permanently to the GK3 IEM shell, there is no memory wire but there is a molded sheath that helps with guiding the wire around your ear. Overall, the physical aspects of the GK3 gives a comfortable fit and peace of mind in it's durability. On sound, the GK3 is enjoyable and upbeat with it's warm and smooth signature. 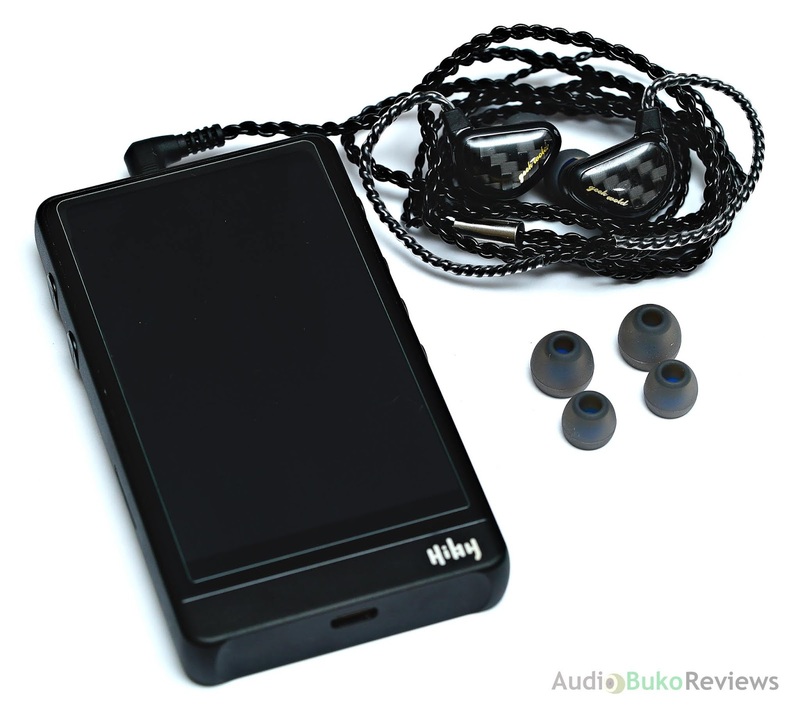 The bass hits with a satisfying punch and subsequent rumble that has enough detail and texture to please. Since the GK3 has 3 drivers, the separation of the 3 main frequencies is a piece of cake and makes them sound individual and yet musical. Those who like some crispness to their treble but are treble sensitive can add the GK3 to their watch list as it's sibilance and harshness free. The GK3 is intriguing in configuration and compelling in price, both traits have attracted the attention of people wanting to know more, so hopefully this tides them over till a full review can be done in around a weeks time.